The (lying) FBI hid fact of father of Pulse massacre jihadi was their informant for 11 years……. – The Tundra Tabloids……. The (lying) FBI hid fact of father of Pulse massacre jihadi was their informant for 11 years……. 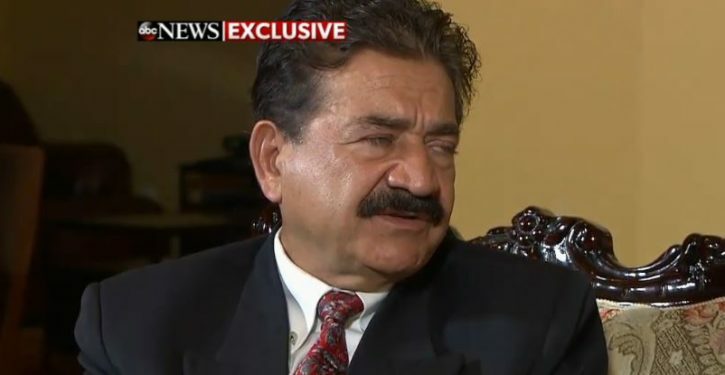 “Mateen’s father played a significant role in the FBI’s decision not to seek an indictment from the Justice Department for false statements to the FBI or obstruction of justice against Omar Mateen during its 2013 investigation into his alleged threats,” lawyers for his wife, Noor Salman, said in a motion. Previous Post Previous Post Netherlands: Imam Fawaz Jneid calls Rotterdam mayor an apostate, and enemy of Islam……..
Next Post Next Post Swedish Amb. weeps in his meatballs, unfair that Israel is ‘demonizing us’……..